. Eileen Kernaghan’s nine historical fantasy novels reflect her fascination with other times and places, from the prehistoric Indus Valley to Victorian England. Eileen is a three-time Aurora Award winner, and her YA/teen novel Wild Talent: a Novel of the Supernatural, set London and Paris 1888, was shortlisted for a 2009 Sunburst Award.. A collection of her speculative poetry, Tales from the Holograph Woods, was published in 2009 by Wattle & Daub Books. 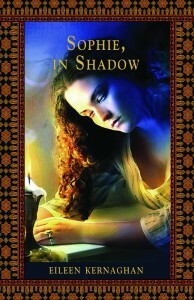 Sophie, in Shadow, set in India under the Raj, will be released by Thistledown Press in March 2014. Eileen lives in New Westminster. 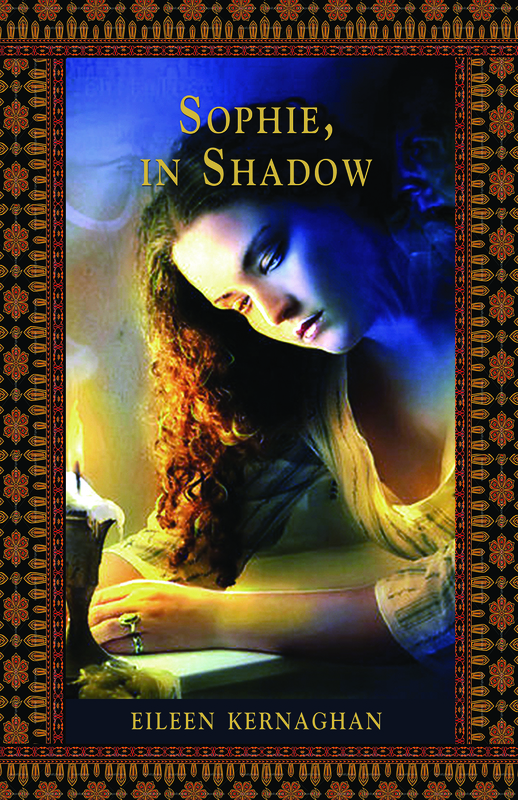 Eileen Kernaghan’s new YA/teen historical fantasy, Sophie, in Shadow, will be launched on May 10 at the Arts Council of New Westminster’s gallery in Queens Park. The time is 1:30 p.m.
Sophie, in Shadow, set in India under the Raj, continues a narrative which began twenty-five years earlier in Wild Talent: a Novel of the Supernatural. It’s 1914. Sixteen year old Sophie Pritchard, orphaned two years earlier by the sinking of SS Titanic, is about to begin a new life in British India. For Sophie, still devastated by her parents’ death, India proves a dangerous environment. Kidnapping, enemy spies and terrorist plots play their parts against the background of a world at war and growing unrest in the Indian subcontinent. Soon Sophie’s powers of precognition will be called upon to help thwart a conspiracy that could incite a bloodbath in Calcutta and deliver India into enemy hands. Thistledown Press, March 2014, $15.95 Available in both print and e-book editions.